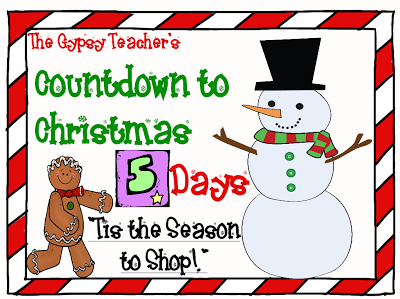 Oh goodness gracious- last shopping weekend before Christmas, 5 more days! Work is going to be insanity tomorrow- EEK! It was the same today- and I've been so busy making an order for Dipstix, working and babysitting, and then tonight I'm in the process of making my RAK cookies for my co-workers for our crazy day tomorrow! So today's post is a quickie! After the gifts, the baking, the entertaining, the family, the late nights and early mornings, you're gonna need some "me" time. I'm giving away a $10 gift card of choice to you! Just leave a comment telling me where you want it, and where I can follow you on this Follow Friday! You have until Christmas day! Make sure you check out my other giveaways! 6 DAYS!! 7 DAYS!! 8 DAYS!! 9 DAYS!! 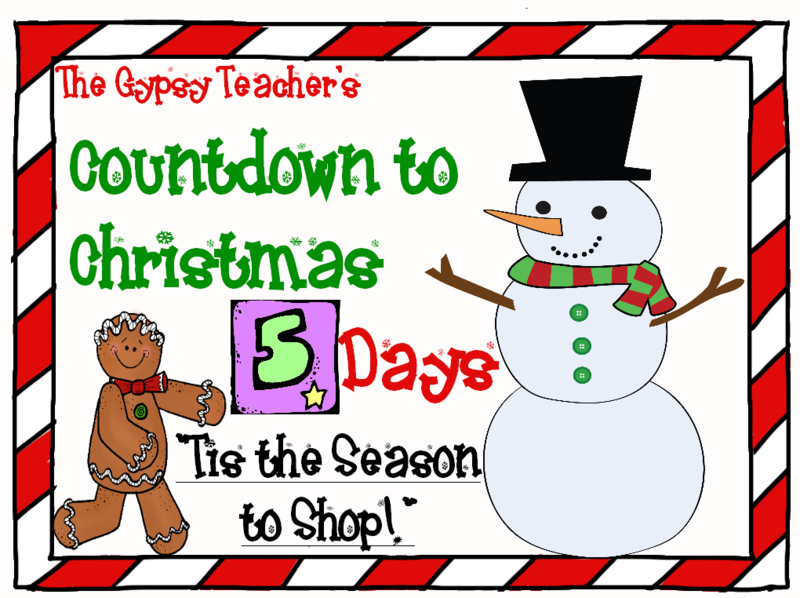 I would love to win a gift card to TPT! I follow you, but I am not a blogger. I would love a gift card to Target. I could spend all day in there, just browsing! I haven't been active lately on my blog, but I am hoping that will change in the new year after I leave Mexico. I would love a gift card for Target. I'd love a gift card to Target :) You're already following me, but it's Sara from Miss V's Busy Bees! I'd love an Amazon gift card!